New Recipe Index is Up! 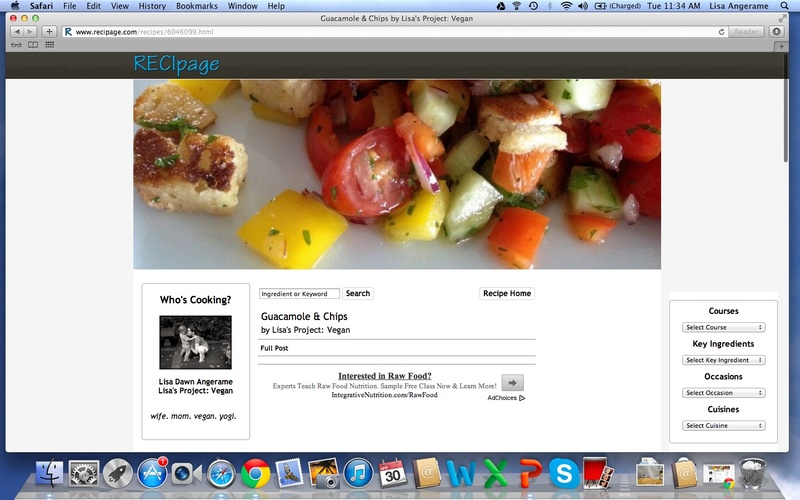 My recipes are now indexed on Recipage! Click the link to easily search for your next meal! This link will always be available on the homepage. Search alphabetically or by course, key ingredient, occasion, or cuisine. Click on the recipe title, then click on Full Post, and you will find yourself back at Lisa’s Project: Vegan. 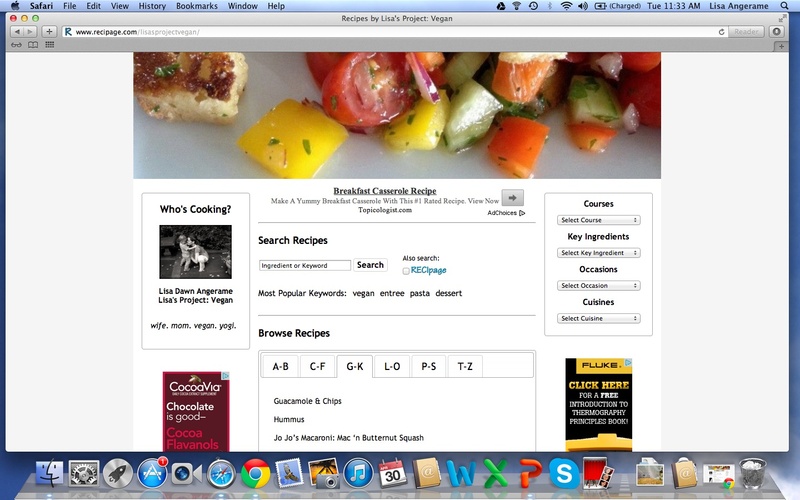 It will take 3 clicks and the recipe is at your fingertips! Disclaimer: Recipage may contain links to third party websites or other content on the World Wide Web for informational purposes only. LPV cannot control these third party links or the content found therein. LPV is not responsible for the content of any third party website, and the inclusion of any links to such third party websites does not constitute or imply any recommendation, approval, or endorsement of such third party websites.